Security Memetics: What Date Is A Good Date For An Update? 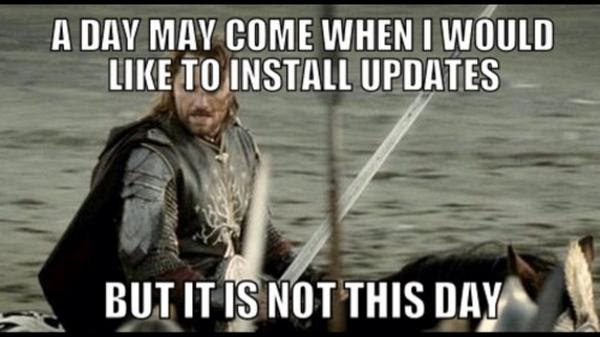 The fact of the matter is that anything with a computer in it is going to need updates on occasion. It's best to think of it like a chore, like cleaning your house or washing your clothes. It's something that needs to be done, even though it's tedious and you'd rather be doing something else.